The ALPS programme is a framework to recognize junior form students’ holistic development. 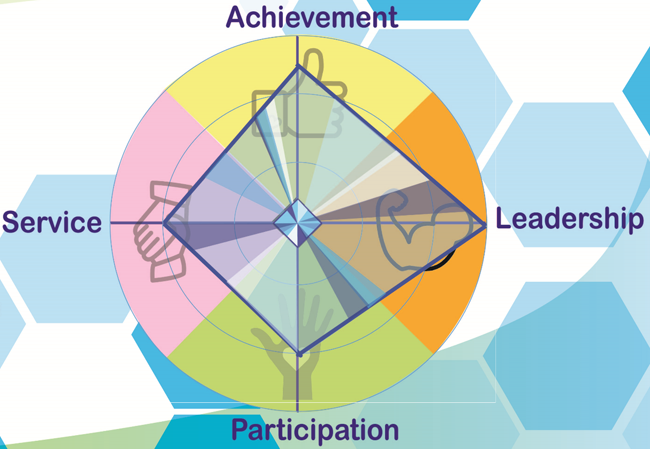 Students will be recognized with levels of attainment in four domains: Achievement, Leadership, Participation and Service. This domain recognizes students’ representation and accomplishment in co-curricular involvements beyond the classroom. Opportunities for representation and accomplishment present valuable learning experiences for students to learn and develop Pauline’s Identities such as Self-discipline, Perseverance, Respect and Commitment. This domain recognizes students’ leadership development. Recognition is accorded to students’ ability to take charge of personal development, work in a team and assume responsibilities in service of others. Integrity, Care and Justice are expected to be nurtured in leadership programmes or opportunities. This domain recognizes students’ participation in one school-based activity/team. Recognition is based on the number of years of participation, exemplary conduct and active contribution to the activity/team. Sustained engagement in the same activity/team allows for progressive development of character, skills, knowledge and brotherhood. This domain recognizes students’ development as socially responsible citizens who contribute meaningfully to the community. By being a service of others, students learn the traits: Respect, Care and Being positive.